Libreria Martincigh - Brainwork. Studio Tommaseo Trieste, 21 gen. incontro con P. Stasilkowski. 19/01/2014 Brainwork. 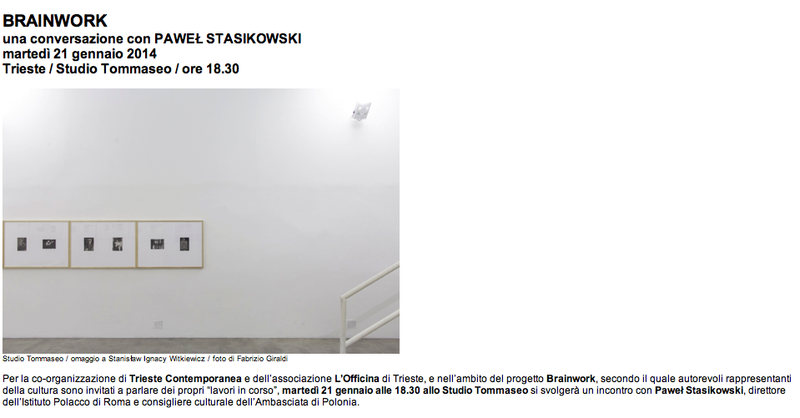 Studio Tommaseo Trieste, 21 gen. incontro con P. Stasilkowski.